Lighting engineers and designers who develop high performance lighting fixtures use our custom molded borosilicate glass as primary and secondary optic solutions that are ultraviolet (UV), chemical, thermal, and abrasion resistant. Unlike most plastic lenses that are prone to degradation, our borosilicate glass is engineered for permanence - even in the most extreme environments. General lighting applications require optimized lighting solutions. Mid and high power light sources demand paramount performance from optical materials. The versatile nature of molded glass optics allow them to be designed for high intensity discharge (HID), halogen, incandescent, and LED light sources including Surface Mount Device (SMD), or Chip-on-Board (CoB) type LEDs. Glass is the ideal material for high-quality optics that produce specified beam distributions and illumination patterns. Kopp Glass is able to assist with the design and manufacturing of high performance glass optics. Kopp can manufacture various types of optics and is not limited to the following designs. 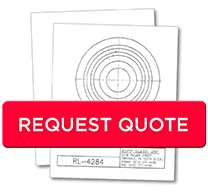 Contact an optical design expert to discuss your project. Total Internal Reflection, or TIR, optics are highly efficient and produce various beam angles ranging from 10° to 100°. Design for a specific beam distribution such as Type I, II, III, IV, V, & VS or a unique design for your application. Combine your individual LED bubble optics into one lens. This optic can be designed in conjunction with your LED array. Design low-profile optics for luminaires with limited space without shadowing or birefringence. Strip, or linear, optics are designed around linear LED arrays and can produce narrow to wide beam angles. Our molded borosilicate glass can be used in many applications because of its durability and optical characteristics. Whether that application requires aesthetic appeal or rugged mechanical properties from your optic material, our glass will provide a high-quality solution.